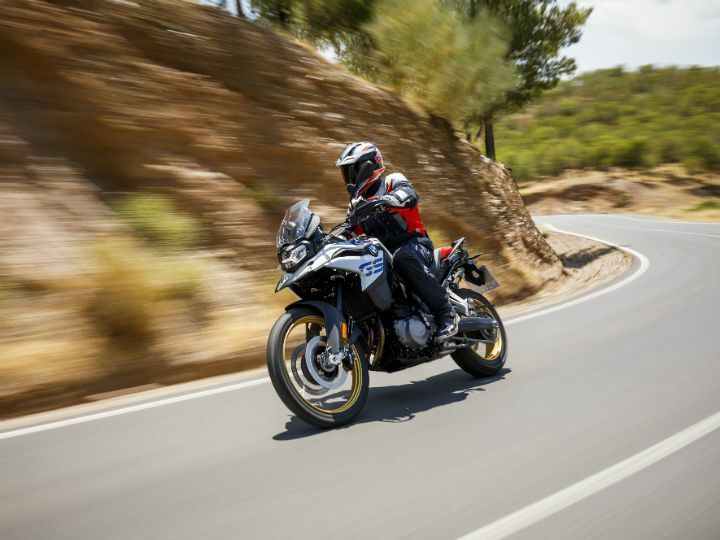 Powering the BMW F 850 GS is an all-new 853cc parallel-twin engine which generates 95PS of power at 8250rpm and 92Nm of torque at 6250rpm, mated to a 6-speed gearbox. For a smoother shift, the company has equipped the motorcycle with a slipper clutch. The engine now gets a 90-degree offset crankshaft and a 270-degree firing interval, which helps in obtaining more torque in the rev range. The F 850 GS is built for riders looking for some serious off-roading action. It sits on a new monocoque steel bridge frame with a new suspension geometry and fuel tank position.The engine acts as a stressed member, reducing weight. 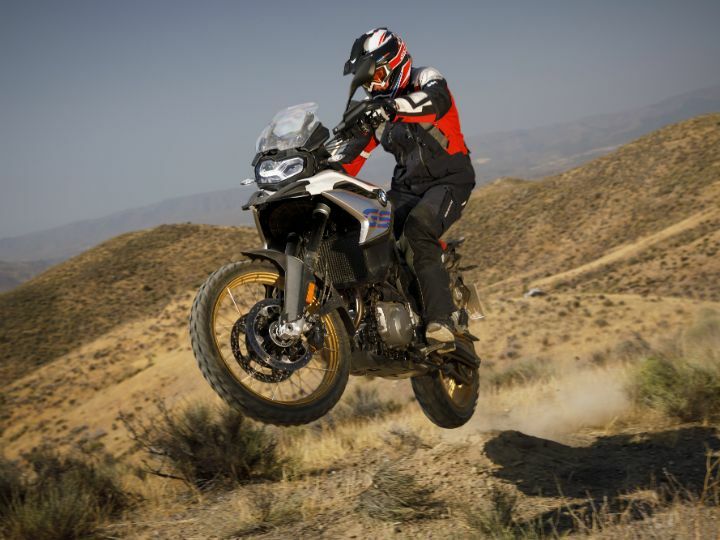 Suspension duties are handled by 43mm upside-down forks at the front with 204mm of travel and a monoshock unit at the rear with 219mm of travel. Saddle height is 860mm. BMW has equipped the motorcycle with two different riding modes - Road and Rain, with ABS and ASC aiding in rough terrains. However, if that's not enough, you can also opt for pro riding modes like Dynamic, Enduro and Enduro Pro as optional extras. DTC (dynamic traction control) and banking-capable ABS Pro are part of standard equipment. 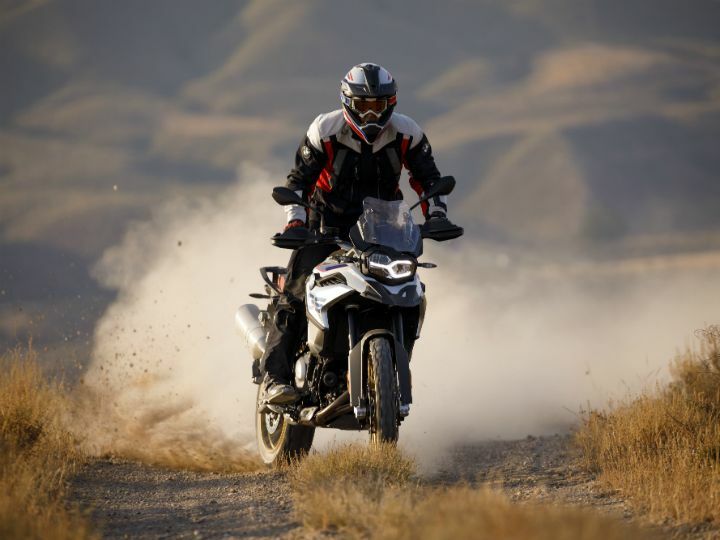 The F 850 GS also comes equipped with LED headlights with optional DRLs, a 6.5-inch colour TFT display and some optional accessories such as keyless ignition, Gear Shift Assist Pro, and a plethora of connectivity options. 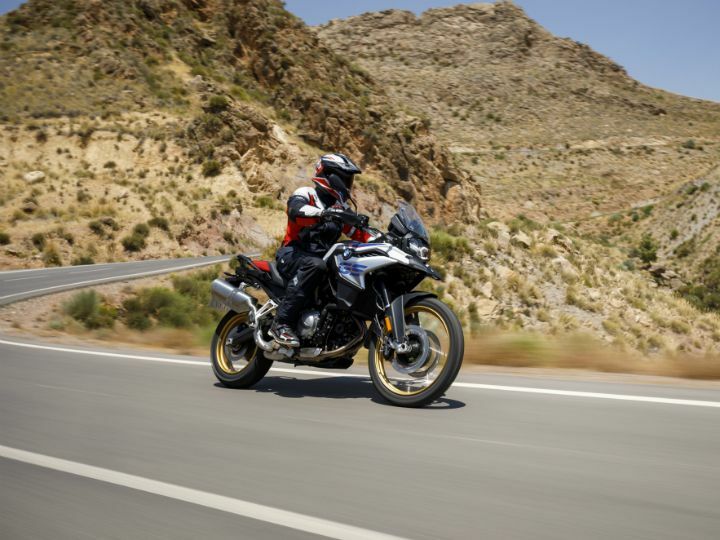 At this price point, the BMW F 850 GS will go toe to toe with the 2018 Triumph Tiger 800.